The quality of cosplay at STGCC 2015 is so high that I was half considering retiring from the hobby completely. It is amazing to see the craftsmanship that has gone into the construction of the costumes. Who needs to use metal when you can achieve the same effect for a lower price and lighter weight with foam? 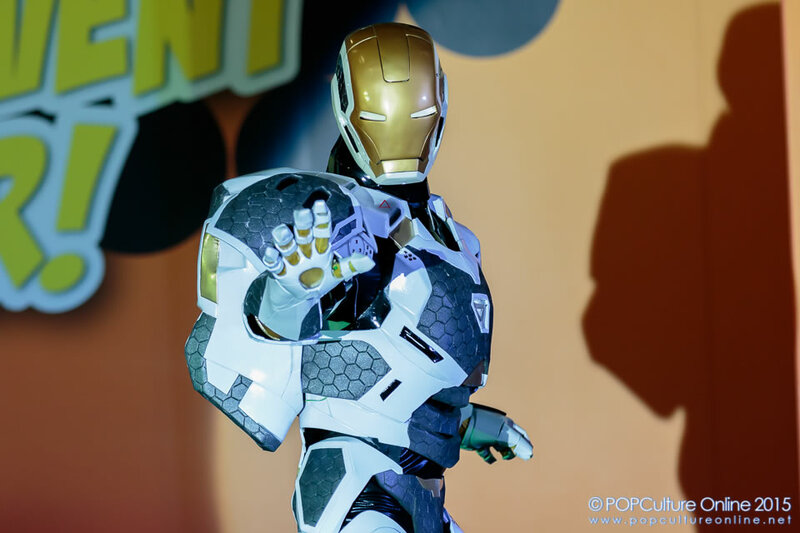 STGCC 2015 Championships of Cosplay’s top prize went to Handry Winata from Indonesia who competed with the Mark 39 suit from Iron Man. From the sleekness and form of the costume, it is difficult to believe that the costume was made from foam instead of metal or plastic. What truly wowed the crowd was the helmet that could slide open and close just the way it does in the movies. This is what happens when you marry engineering prowess with a passion for pop culture and cosplay. Special mention goes to Shaun Lu who cosplayed as a ranger from Jurassic Park. Shaun was the first to go on stage for the championships. 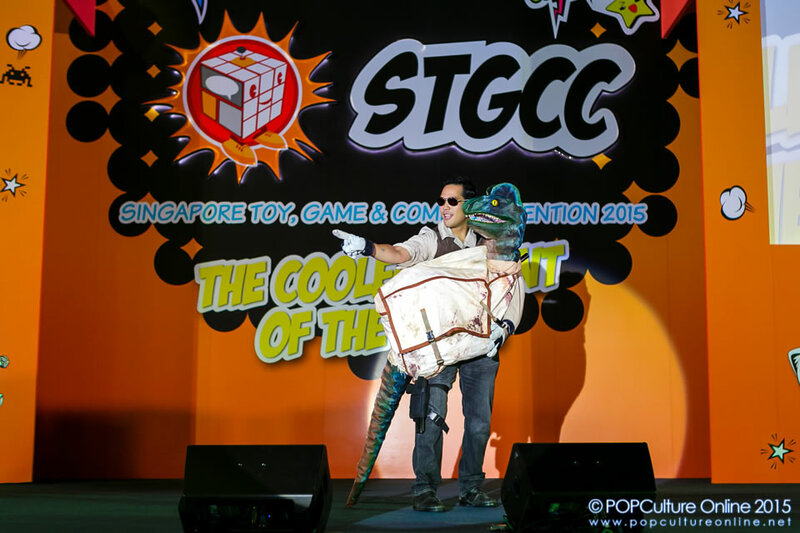 While admittedly, his costume was simple compared to the rest of the cosplayers in the competition, his use of a Velociraptor puppet that seems to react to his every command is so innovative and lifelike that for a moment, I truly believe that there was a baby dinosaur on stage. 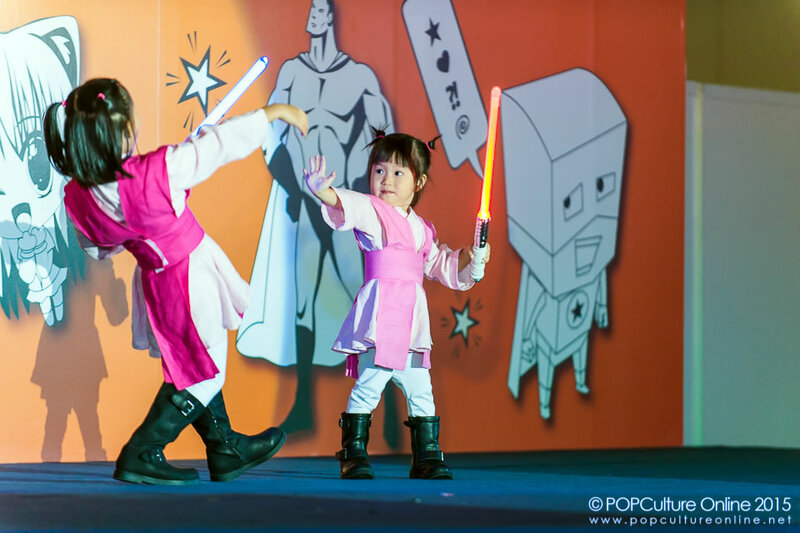 Another special treat for cosplayers this year is the Kids Cosplay Parade. The love of pop culture is shared by all ages, young and old, and one excellent way to bond with your children is to share with them your loves and passions. The children who took part in the parade, while understandably shy, pose well, and it is obvious that they have done their own research and practised hard for the occasion. Even the judges were impressed and offered the children a standing ovation at the end of the parade. Do also check out our photo gallery from the STGCC 2015 Championships of Cosplay & Kids Cosplay Parade over at our Facebook Page.